This question comes as a result of the lack of cohesiveness amongst the adherents of anarchism. Anarchists, while professing a common universality of values and beliefs, act as roving tribes when it comes to meetings between their different ideological sects. None seem to coalesce around any unifying concept, with each trying to outdo the other in how left-wing, anti-racist or intersectional they are. That’s all well and good for debate stages and internet forums, but it hardly builds a movement that can be politically and socially strong and that can challenge prevailing power structures. It leads to the question of whether anarchism, as the according ideology to so many beliefs, is really worth the time, the activism, the commitment that it is given. Speaking from my ideological foundations, I’m increasingly coming to the position that anarchism is really only useful as a hollow political standpoint, where one rejects centralised power structures in favour of systems that are distributed and more horizontal. In effect it is seemingly only there to reject the prevailing mechanisms of hegemony, those of capitalism and the state. Now that’s fine but how does this accord to anything other than a statement of intent about one’s political goals. It isn’t an ideology, it’s a signalling tool to tell others what you are opposed to. Thus all manner of things are tacked onto it that are meant to represent an extension of anarchism’s praxis without actually explaining the original praxis except in the vague, woolly terms of opposition to centralised power. But of course, this opposition is in no way original or particular to anarchism. There are statists who believe in the disaggregation of power. Are they enemies? Or allies? Others try to paint anarchism as the constant act of becoming, of a permanency of revolutionary developments that continue to push humanity forward. Who would this benefit? Revolutions are really only borne from the circumstances of desperation and a real desire for change. But once a revolution has occurred, to maintain its tendential permanency it seemingly has to accrue power into increasingly authoritarian structures. It seems anarchism provides nothing other than a tool of pure opposition, as something to establish one’s self as opposed to particular constructions of power. This need not be a bad thing, so long as this can be recognised instead of trying to construct a utopian vision of a unified political coalition of anarchists and other “radicals”. This stripped-bare form may actually have potential in the real-world rather than being a vague collection of thoughts on a blog site and the diverse opinions of contradictory writers. People don’t want to live under the permanent conditions of revolution and continual change. They favour steadiness, a maintenance of tradition and the ability to integrate changes into existing institutional frameworks. Many want cohesive communities where traditional understandings of family and social life can be coddled and further developed, not thrown away on the heap of progressivism and change-for-its-own-sake. My belief is that anarchism, as a program toward change rather than a be-all and end-all ideology, can be integrated into a general framework that favours decentralised, disaggregated systems of governance that are pluralistic, developed on voluntary grounds, and that allow for vertical and horizontal structures of decision-making and policy creation. One that questions the increasing rapidity of change and the further centralisation of power into oligarchic constructs, and that favours independence and autonomy, a recognition of collective kinship and birthright. It can question both the capitalist state and growing national populism which, far from being a revival of Volkisch nationalism, is a pithy, secularised development that is more interested in fearing radical Islam than in creating new national structures and understandings of kinship and community. 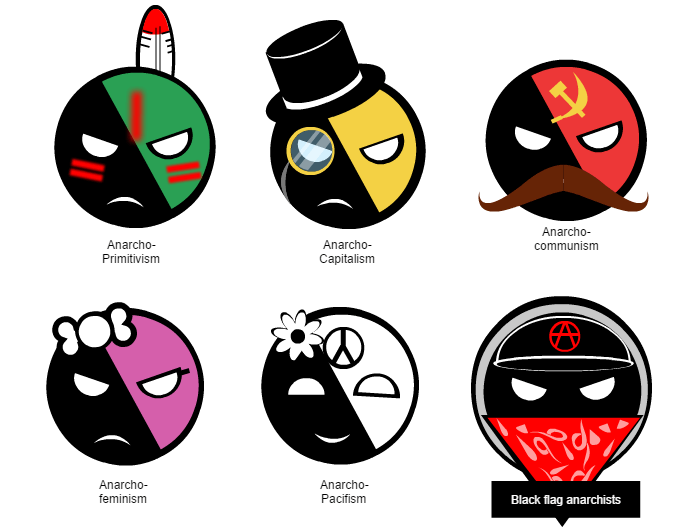 Anarchism could be a central plank in these developments which favour the community over the state, the local and human-scale over the global, and the collation of communal interests over oligarchic ones. For this reason I continue to consider myself an anarchist. However, with its increasing tribalism and infighting, the question does need to be asked of whether anarchism is really worth the baggage that comes with it. The author struggles to transform anarchy into a political system… hence his struggle with anarchy. I don’t want it to be a political system, but rather something integrable to various other political systems. Talk about wooly! Is this Chris part of Preston-ism that you promote him so proudly!